If you’re lucky, an invitation to open a store credit card has only been extended to you once in your life. If your luck is like that of the average person. You have heard a store clerk rambling off about their store credit card over and over again. You might have been wondering what the exact deal regarding store credit cards is. Especially if you heard all the warnings surrounding it. Read on through the pros and cons of having a store credit card to decide if you’d like to apply for one yourself! Store credit cards can be the easiest credit card to obtain. These are given to people even if they lack a great credit score. It is probably one of the best perks of having a store credit card. If you have a bad credit score or need to start building up your credit history. These cards can make great starting points. To build a great credit history through you store credit card, you should make sure that you don’t carry a balance or much of balance. In the long term, this will pay off by adding points to your credit score. The majority of store credit cards offer great opening discounts. They also award customers using these cards with rewards such as bonus coupons, free shipping for online stores, etc. 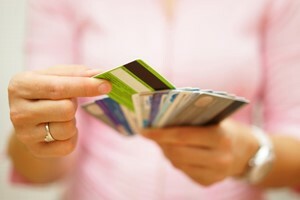 One of the first cons regarding store credit cards is the high-interest rates. Without proper management, you could end up in a heap of unnecessary debt. Annual as well as monthly interest rates run very high on most of these cards so you should check this rate carefully before applying for the card. Although these cards can add to your credit history, the limits tend to run very low and the turnaround time for an influence on your credit score can be very long. Opening too much store credit cards in a short amount of time could also have a negative effect on your credit score so be careful to do this. Anther drawback can be the temptation of spending too much. This con is ultimately dependent on each, but should nevertheless be taken into consideration. The temptation to buy something that you otherwise would have coped without will be bigger if you know that you have credit available to buy it with. You need to remember to make wise decisions when using a store credit card. In the end, the pros and cons don’t outweigh each other, and the choice of getting a store credit card is up to your personal opinion regarding them.